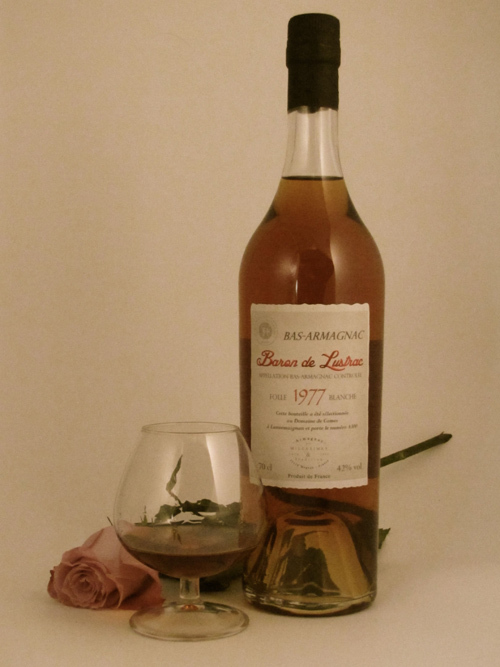 This Bas-Armagnac is a blend of two single grape-varieties. The first one is a single grape-variety Baco selected at a Domain from the region “Les Landes”, the second is a single grape-variety “Folle Blanche” from a Domain in “Le Gers”. These two Bas-Armagnacs have been blended in 2016. The result is an eau-de-vie that develops fine fragrances of “Folle Blanche”, harmoniously surrounded by the strength of Baco. 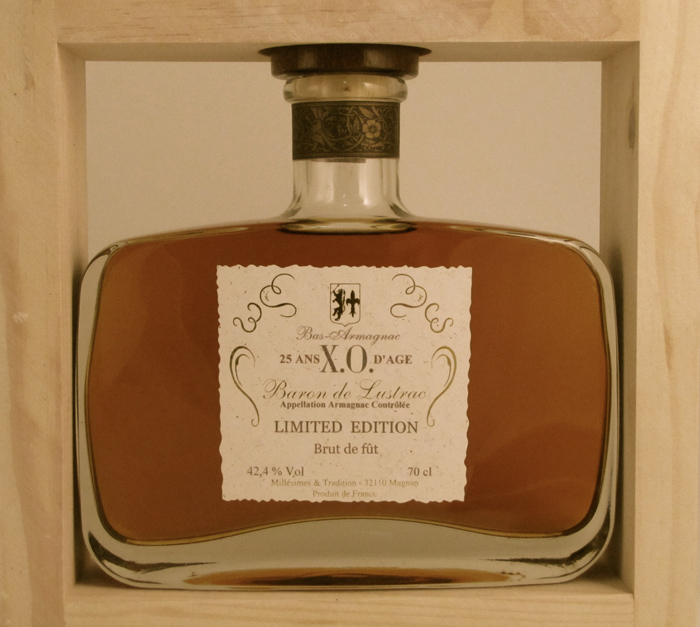 It is rare to find to find an Armagnac, single grape-variety Folle Blanche, also called Piquepoult, because of its fragility. We still have some bottles at this Domain, and can also offer you the following Vintages : 1973, 1974 and 1989. Once again a single grape-variety Folle Blanche, a very harmonious eau-de-vie, that will enlight your celebrations.